There is a need for the government and the private sector to look at the halal economy from a business perspective instead of a purely religious one, to fully capitalise on the opportunities so that Malaysia is not left behind in meeting the burgeoning global demand for halal products. “When you talk about the halal economy, you should segregate the religious and business part of it. All this while, there has been a lot of focus on the religious side. What about the business side of it? “If we don’t have capable players and good products, it still doesn’t bring anything to the country,” said Halal Industry Development Corp (HDC) chief executive officer (CEO) Datuk Seri Jamil Bidin. He was speaking at The Malaysian Reserve (TMR) roundtable discussion on the halal economy last month, attended by industry players. The roundtable discussion was hosted by HDC and moderated by TMR chief operating officer/ group editor Abdul Halim Wahab. Participating in the roundtable discussions were Islamic Development Bank (IDB) regional officer-in-charge of Malaysia Kunrat Wirasubrata, AYS Sdn Bhd CEO Liaw Ren Jian, Kontena Nasional Bhd CEO Hood Osman, Nestlé (M) Bhd executive director of human resource and group corporate affairs Zainun Nur Abdul Rauf and Nestlé Malaysia chairman of halal committee, regulatory and scientific affairs Othman Md Yusoff Jamil pointed out that there is an urgent need for the opportunities to be fully capitalised on by local players as “halal means business”. “That is why many non-Muslim countries are jumping into this industry now. China is coming in big, Thailand is there, so are South Korea and Japan because they too see that halal is business. “The demand at the moment is so huge but the supply is not there, so they are filling that gap. As a country, we should not miss this because even though we are the first mover, the industry is moving so fast that they might catch up and we will be left behind,” he said. TMR: To put it in perspective, the halal economy in Malaysia and throughout the world was once disorganised. But today it has turned into a serious economic sector creating a new wave of economic opportunities and investments. In fact, it’s been referred to as the “3rd billion economy” after China and India. The global halal food market was valued at more than US$600 billion (RM1.87 trillion) last year and it is estimated to grow by 15% to 20% this year. The key drivers are the increase in the global Muslim population, the economic development of Muslim countries and more demand from new markets in Europe, China and India. What are the challenges and prospects for the halal economy going forward? Jamil: Firstly, calling it the halal economy is the right term as industry is not the appropriate word. Halal is not a single industry. Halal economy is more appropriate because if you look the halal concept itself, it is very diverse. It covers food, non-food, services and almost everything in our life. So the halal economy is a lot bigger than just the food industry, even though a lot of focus has been put on the food industry in the past. The biggest problem in the past has been that awareness of halal itself was very low even among the Muslim countries. What more among the non-Muslim countries. Even in Malaysia, the understanding of halal is not at a comfortable level. But when we start talking about the halal economy, people will begin to understand that there is a lot more to halal. For the non-Muslims, the concept of toyiban has not been well explained or even spoken about. That is the reason why in certain countries, halal is associated with religious products and exclusively for Muslims, which is not correct at all. We want to re-brand halal as inclusive and not exclusive. Secondly, I think the issue of certification has been talked about for many years. While all this argument about certification is happening, business is still going on. We find that many consumers around the world are not concerned whether the logo comes from Malaysia, Thailand, Indonesia or Singapore or from which ever country. TMR: I suppose having one halal standard is still work in progress. Jamil: Yes it is still work in progress, but I think the bigger issue is about halal food insecurity. While we are debating on this at the Organisation of Islamic Cooperation level, the agenda about halal food insecurity was never discussed. There are 1.8 billion Muslims around the world. By the year 2013, the Muslim population is going to be 37% of the global population. If you look at the halal supply side now, it’s very small even though Malaysia was the biggest exporter last year. There is big opportunity here and industry players need to come in and step up supply. TMR: Given this perspective, what is Nestlé’s point of view on the challenges and prospects as a global food manufacturer? Zainun: As a food producer, Nestlé also faces challenges in terms of food insecurity. For instance, if you want to expand your product range, we have to make sure that the raw materials used in our production are halal. But to get the supply of these materials is always an issue for us which in turn makes it difficult for us to expand as there is no other supplier. That is always an issue. More importantly, if our suppliers are hit by a crisis, we are stranded. It is important to have awareness on the importance of the halal label. Of course, the certification is important to ensure we have continuous supply of raw materials. 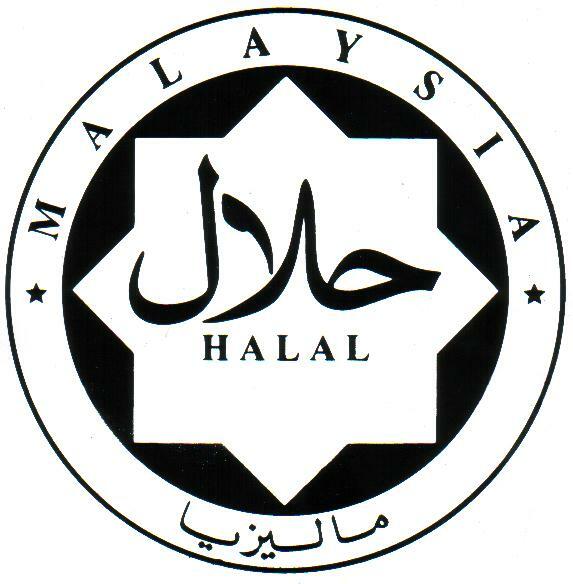 Othman: The supply of halal products has not met demand. Even for Nestlé, which is the biggest halal food producer, our total halal food production is just 1% of global demand. So just imagine there is a lot of potential in certified halal products. But there are also halal products which are not certified. We (Nestlé) have taken this initiative to pave the way because we have said that if we want to do it right we need to do it systematically. When I joined the company in 1988, we already had the halal committee up and running. So with that we started building the knowledge. The most common challenge the industry faces today is in the supply of ingredients etc. We would definitely want our source to be from here or somewhere nearby. When you speak about ingredients, apart from halal, the ingredients must meet the specifications. There is a technological aspect to it, that is whether an ingredient can be made as part of industry requirements in terms of the specifications, microbiological counts and particle size. We need to ensure that the standard is met and supply can be sustained. A key area that we should look into is to grow in terms of halal ingredients suppliers. As a halal hub, I foresee that one day we won’t need to go out and promote logos as the value will come from the products that we produce, not in the certification. TMR: What are the challenges from the perspective of Kontena Nasional as a logistics player? Hood: Based on what we’ve gone through so far, we started talking to HDC in 2009 with regard to a positive collaborative engagement to identify possibilities to create another revenue stream which is to offer halal logistics services. From then on, we’ve made strides with regard to the preparation of the infrastructure which I think is very important. As a trade facilitator, which is what a logistics service provider is, providing the infrastructure, the know-how, personnel and appreciation of halal logistics services is crucial. The challenges we face are more on the appreciation, understanding and acknowledgement of halal, be it certified or non- certified. Non-certified is a bit more difficult because people will start questioning how the halal process is being done. Certification makes it easier for us to start. But it doesn’t stop there, especially in our role as a PNB (Permodalan Nasional Bhd) company to spur small and medium industries (SMEs). As you know in order for Malaysia to become a halal hub SMEs must come into play with regard to right-sizing the economy. If you look at it, Indonesia is one of the good examples, where SMEs are coming up like mushrooms. There is a demand for local produce, because with 240 million people, there is that kind of consumption. But Malaysia is heading towards a much more strategic dimension with regard to technicality, technology and a systematic approach. TMR: While halal logistics is another revenue stream for the company, is investing in it an issue? Hood: Initially, yes. It is in fact because you have a three-phase investment, from my perspective. If you look at Kontena Nasional, we already have warehouses in Penang, Central, Kuantan and Johor, so transforming that as part and parcel of a halal ecosystem was easy. But for somebody to start fresh, if he was to propose a full halal supply chain, then the warehouse investment must come in. When we take a look at our fleet, when transporting perishable goods, cross-contamination becomes an issue, so you need to put aside a few containers just for halal foods. If you go one step beyond that, you look at refrigerated containers. They also cannot be contaminated with other goods, as although Kontena Nasional does not carry any non-halal items, the audit is quite strict. TMR: Market access and branding are important in any business. So is funding, which is where IDB comes in. How do you see this market progressing and what role can the bank play in terms of funding the halal economy? Kunrat: One of the things that we have been working on is to try to connect interested investors from all countries, so this is one way of increasing investments. We have to consider that ‘halal’ per se comes from a religious concept. Although you would like people to grasp the concept of halal, it is still identified as an Islamic concept, like kosher products are identified with the Jews. My view is investment in halal should not be expensive. If you are looking for 100% purity, it is very difficult, as even during the Prophet’s time some contamination was permitted. The search for 100% purity may lead to excessiveness. We are currently talking to a Malaysian financial institution to provide a line of financing. This is one of the proactive stances that we are taking. We have established a small team in Kuala Lumpur and Jeddah to discuss whether we will focus on the business side. Liaw: You can look at me as a 2-in-1, a multinational company (MNC) mindset wrapped around an SME. This is due to my 14 years’ experience in the corporate side in the manufacturing and marketing of halal personal care products in Malaysia, but today, I run my own halal business. Secondly, you can look at me from the non-Muslim perspective. Number one, it is a high cost business, full stop. When it comes to the SME, the challenge is even greater. From an MNC perspective, sourcing and buying is not an issue because they can afford it, but when it comes to SMEs, every dollar comes from the owner. To add to that, sourcing is always a challenge because we do not have the leeway to buy from a cheaper option as the cheaper option normally does not come with a halal certification. The other bigger problem for us is the logistics. For Sabah, Sarawak and Brunei, the cost is high to ship our frozen ready-made meals there. Why? As an example, our logistics provider initially thought that they could have economies of scale. If they were already in the frozen food business, they thought they could put our products in and maximise the container load factor. Unfortunately, I told them, I needed exclusivity for my container because we have to make sure that the total supply chain is halal-certified, so that adds up cost. Being in the business of frozen products, cost is even higher. It is the high cost that affects us when we ship our products. I met Datuk Seri (Jamil) last year and asked him “what do you think about a non-Muslim in the halal business? Are we just trying to get money from the Muslims?” I liked the way he answered. He said it is about the consumer market, supplying what the Muslim market wants, and just because the player is not a Muslim doesn’t mean he cannot enter the market. But, we need to adhere to the set of rules and that’s how I learnt about the halalan toyyiban concept, which is a very good idea. If we can share this concept, it will benefit the non- Muslims as well because it is about wholesomeness. We want our food to be produced in a clean, safe, and hygienic environment, this is a universal value. With regard to funding in Malaysia, the banks don’t really see whether it is a halal business. They see your business performance. For SMEs, there is difficulty in convincing them. If we say, we are a halal company, it doesn’t add any value, sorry to say that. This is something perhaps the agency can look into. Jamil: If you look at industry players like Nestlé, they still have problems when it comes to the whole value chain. They are the biggest food producer but they are finding difficulties in getting the raw material supply. So this is where most of the industry players must look at the whole value in the value chain. Instead of being crowded in the end part of the value chain, why can’t I be in the ingredient part of the chain? Logistics? Or the softer part, marketing? I can be a good trading company. If you look at the whole value chain, there are a lot of components, even banking. Once people become more aware about the need for Islamic banking in the halal economy, then there will be demand. In Malaysia we still have that problem, the awareness about being in the various parts of the value chain. imbalance in terms of the product that we want and the supplier of the raw material. Hood: There could be a day, maybe 30 years down the road that we don’t need halal certification anymore because everybody acknowledges, admires and respects that this is halal and this is not. But right now because it is during this migration, there is a need for you to draw the line. But once you have drawn the line, you need to understand that it goes back to practical business utilisation. Halal is not halal just because it is for Muslims. Halal is because the food is safe, secure and hygienic. So basically when we promote that, it goes beyond the 1.8 billion people we are trying to market to. So the economic scale automatically comes in and the cost will come down.